Update: I am afraid I lied to you in the original article, although in my defence it was because someone else gave me bad information. I have now corrected the article. Unitron don't in fact use Binaural Compression. In point of fact, how they do localisation is both different and fascinating, at least for us nerds. The Article has been updated to reflect the mistake and clarify the technology used. I finally got to play with the latest Unitron Tempus hearing aids recently and I have to say they impressed me a great deal. I have been wearing Unitron North Moxi Fit Pros for over a year now. I have always been pretty happy with the help that they delivered me in noisier situations. So I was interested to see what the Tempus would offer over and above the North. I have to say Unitron didn't disappoint, the aids performed exceptionally well with multiple noise sources and the spatial awareness was outstanding. During the demonstration, the reps from Unitron did some spatial awareness and depth of space exercises. In essence spatial awareness in this context is an awareness of where a sound is coming from in your environment. The depth factor is an understanding of how far the sound is away from you and how the sound changes as it moves towards or away from you. The Tempus delivered quite amazing levels of both. I am glad you asked me that! These two auditory cues are important to you because it is a replication of how you naturally hear. Providing you these natural cues in the way you would normally hear them allows your brain the best information possible. The brain is quite an astonishing bit of kit. Give it all the right information and it will do its thing exceptionally well. What was always missing from hearing aids was the delivery of sound in a natural way. Unitron is not the first to do this, however, this is the first time that Unitron have done it so comprehensively. How do they do it Geoff? Well, they do it by preserving all of the auditory cues that exist. They do that by a feature that has become to be known as Binaural Compression. Update: No they don't I am a fibber, they do it using inputs through the microphones and a feature they call Speech Locator. Widex was the first to deliver true Binaural Compression with the Clear device back in 2009. Their Binaural Compression feature is now on its third generation and to be honest with you I haven't worn Widex hearing aids in a long time so I don't really know how this compares. I shall try and dig up a pair and let you know. Sorry I digress, back to the feature. 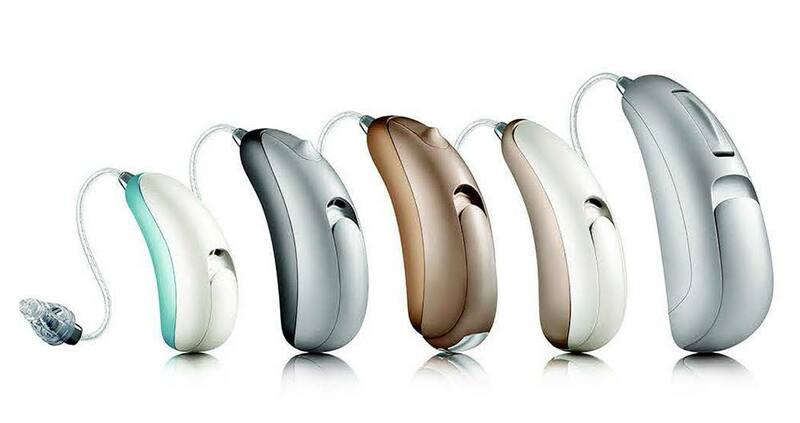 The feature works by ensuring that two hearing aids communicate constantly. They pass huge volumes of sound information between each other and collectively make a decision about how sound is presented to you. This is all done instantaneously and in the highest level of technology, it will affect almost every setting and feature. It is this astonishing power that allows the aids to preserve the natural cues. Ensuring that you get the best representation of natural sound available while also using the power of the directionality features and the noise management feature. Update: Ignore the last paragraph, here is actually how they do it. The compression used in Unitron hearing aids does not react as much to the amount of change in the input level as it does to the rate of change in the input level. As such, both hearing aids are usually very well synchronised without the need of binaural communication. But even more important than that is the fact that they manage their Spatial Awareness technology completely differently than any other hearing aid brand. Since the Era they have used their feature the Speech Locator to determine the direction of speech in any background noise or crowd listening environment. In Tempus for example, they know with extremely high accuracy whether speech is coming from the front, right, left or behind in background noise. Historically, all hearing aids use gain models which assume the speech is coming from the front because there was no other choice. But the Speech Locator can determine where speech is coming from and Unitron use this to adaptively change the gain model of the hearing aids on both sides of the head from microphones at the top of the ear to more accurately reflect the real ear transfer function to the eardrum that the person would normally perceive without hearing aids on. Combine this with the new microphone technology they have introduced which also adaptively changes on the basis of the direction of speech, and you get Spatial Awareness. So, Unitron are delivering the all of the benefits of Binaural Compression without the physical data connection between hearing aids. To be really honest with you, that is pretty amazing and I would not believe it, unless I had experienced it. In my mind, it actually makes the hearing aids better, but that is just a nerdy thing, as a consumer all you really need to know is they rock! I remember when the concept was first presented to me in 2009, I remember thinking that hearing aids would never be the same again. It was an exponential leap forward and is probably most responsible for the huge leap in satisfaction with hearing aids. Of course having them fitted and verified properly probably helps as well. Anyway, the Tempus delivered even better clarity in noise over and above the Norths I wear. I was able to listen to the demonstration twice, once through the Tempus and the second time with my Norths on. I could definitely see the difference in noise. Speech was clearer and noise less of an issue with the Tempus. I mean the noise was still there, but I really could understand clearly where the noise was. More importantly, I could tell where the speaker I was interested in was. It meant that I could focus much easier on their voice. Pretty impressive stuff really. This level of spatial awareness is only available in the new Tempus Pro range. So to get the full effect of the localisation and depth you need to go high. However, there are lesser but worthy versions of it in the 800 and 700 range. The difference between them is that at the Pro level the features are dynamic which basically means constantly changing in relation to input. The two lower ranges are far less dynamic. So, I thought the aids were pretty damn good to be honest with you, lovely clean sound (as I would expect). Amazing localisation and depth of sound and pretty damn good in noise. If you have any questions give me a shout. The should be available across the world right now. I know for certain that it is available in the USA, the United Kingdom and since last Monday in Ireland. Unitron should be making Flex:trial versions of the Tempus available as we speak. 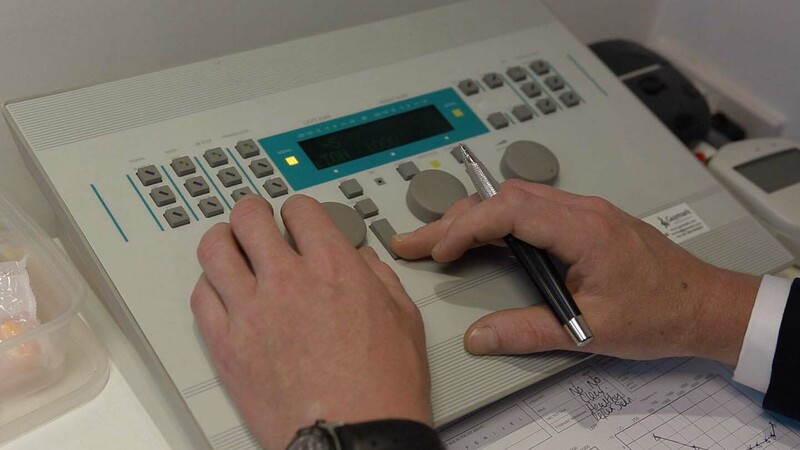 The Flex:trial system is a unique Unitron technology, it allows us to programme up a set of test aids to the technology level that you wish to trial. When combined with another feature they offer called Log it all, it allows us (the Professional) to get a clear view of your lifestyle needs based on real world information. So go see your local Professional, ask for a trial of the aids and see for yourself! Just in case anyone has any sneaky suspicions and to clear it up, Unitron gave us no money or incentives for this or any other endorsement. Of course if they are feeling generous I need a new Tesla Motor Car?????? ?